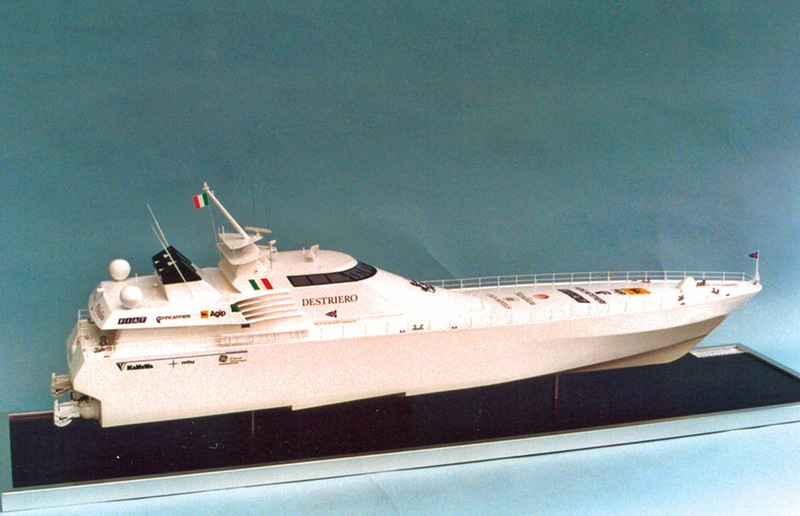 This model is 1:40 scale 56″ L.O.A, 11″ beam, powered by three Graupher Speed 700BB turbo motors, through gearboxes into three jet propulsion units. Controlled by 6 channel radio gear and Electronize ESCs. All radar scanners and lights fully function. 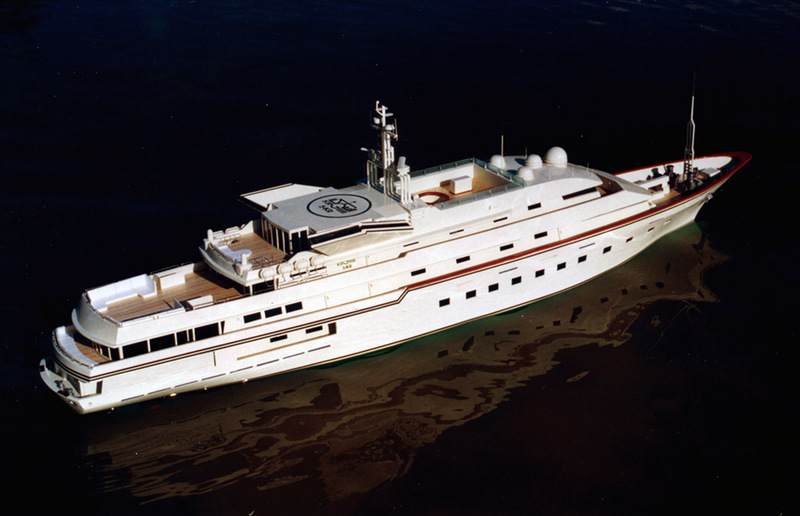 The prototype is 220 feet L.O.A, 43ft beam, of aluminium construction, using three 20,000 HP motors, into three Ka Mewa 125 water jets. 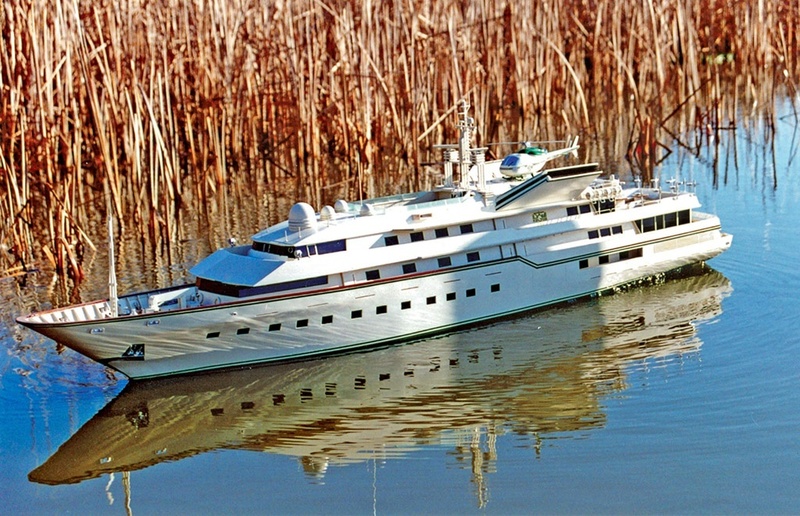 She has an awesome top speed of 67 knots! 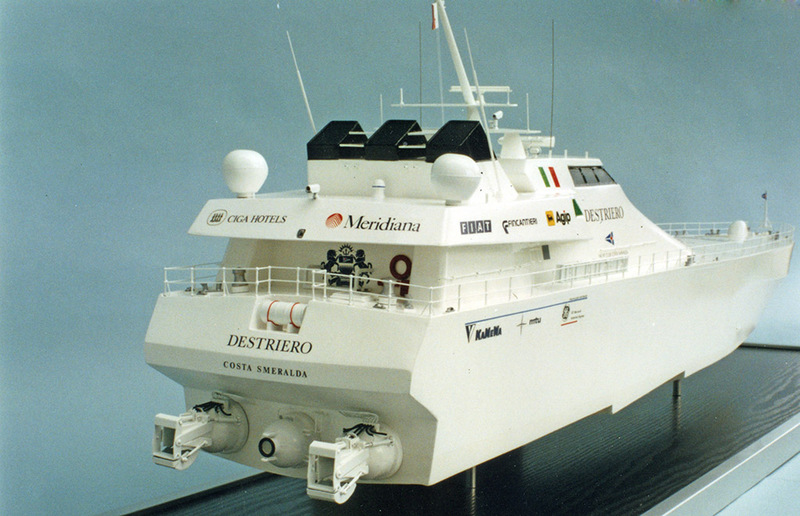 She is also a record holder for an Atlantic crossing without refuelling! 1/5 scale and powered by two water cooled Graupher Ultra 3500 motors, 28 volts, the water cooling outlet is as per the full size! 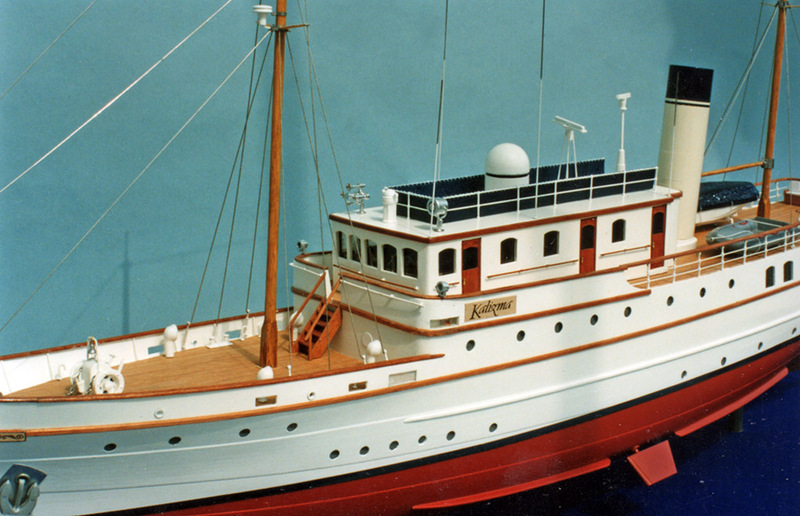 With accurate planking on deck and hull she is a real beauty. 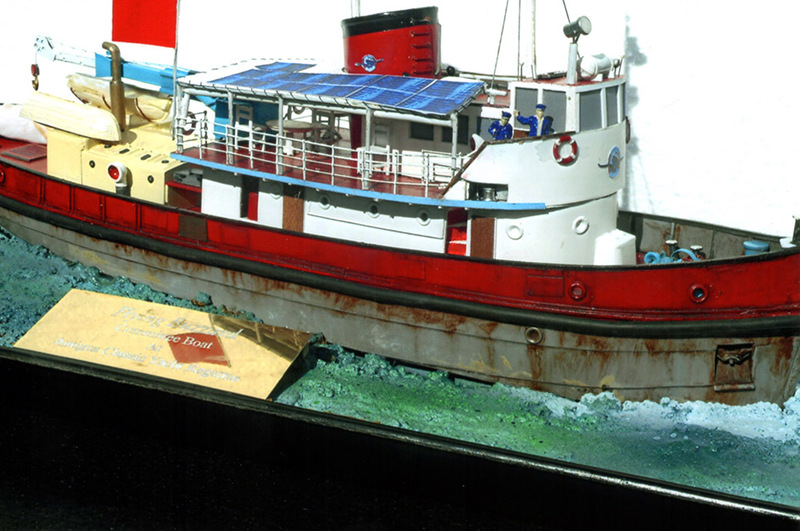 This model is on display next to a full size craft at the National Motor Boat Museum. 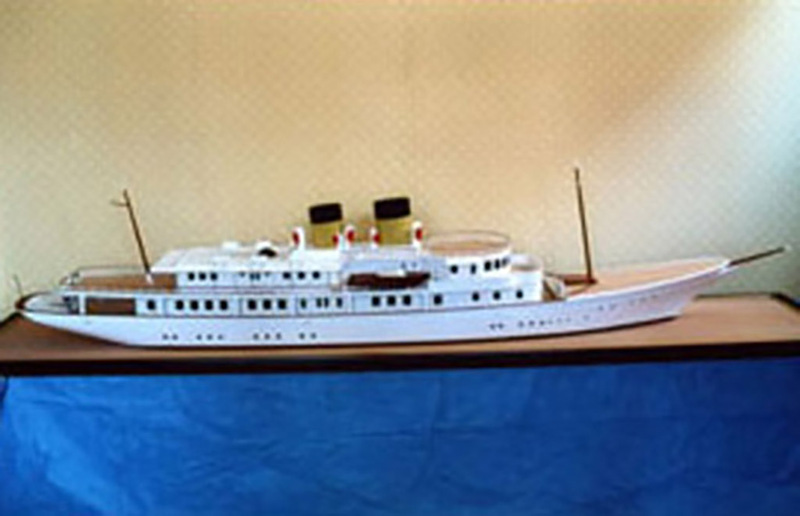 The photograph shows a waterline scale model of Fantasia/Land’s End built to a scale of quarter of an inch to one foot. 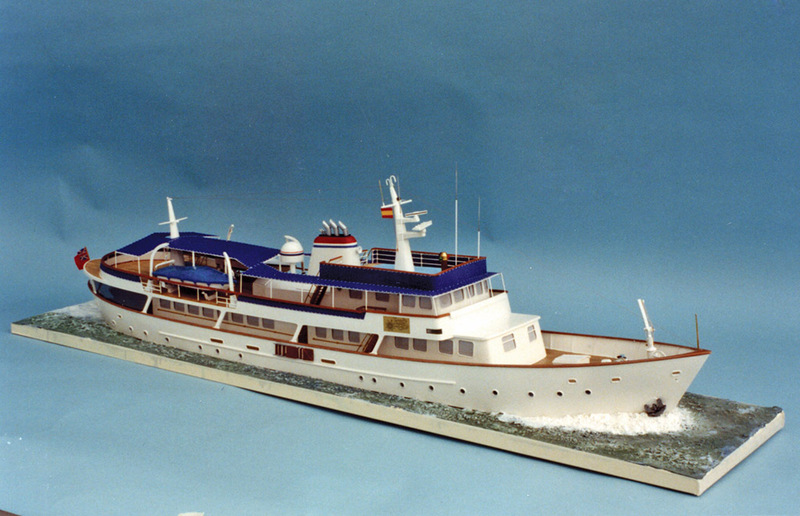 A fine detailed 1:50 scale waterline model designed By Cox and Stevens, built in 1979. 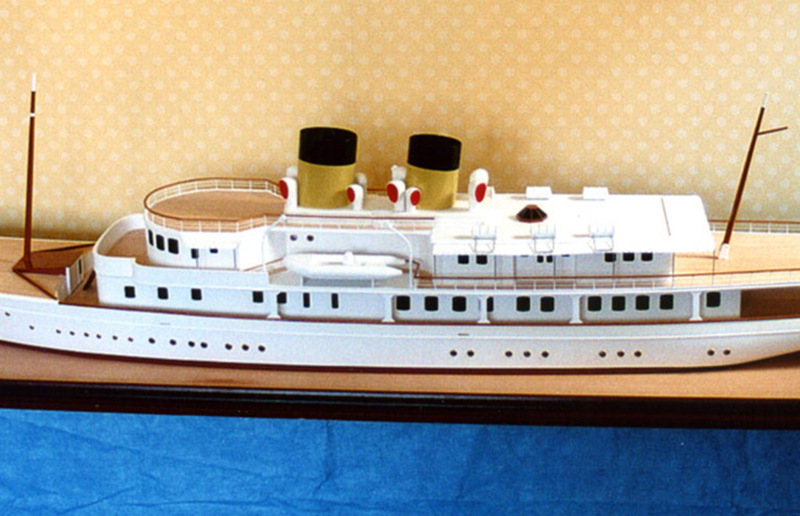 A full hull and waterline model of Rosenkavalier. 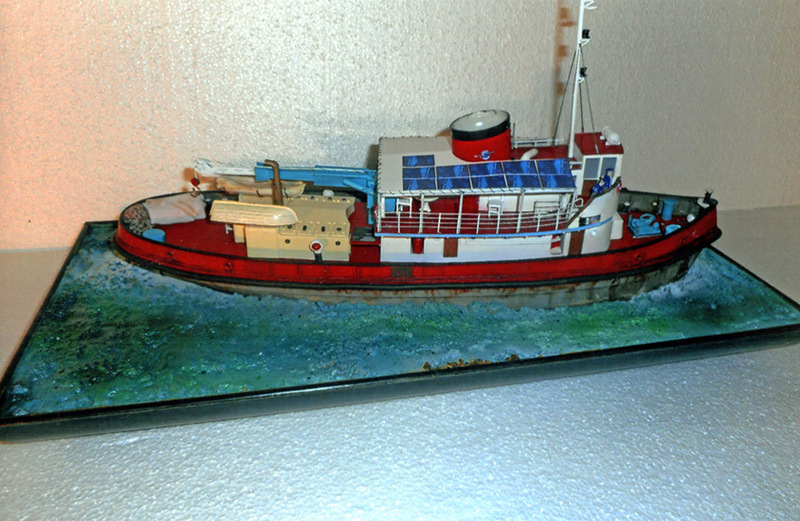 A detailed fully working scale model of Kingdom 5KR L.O.A 2M. 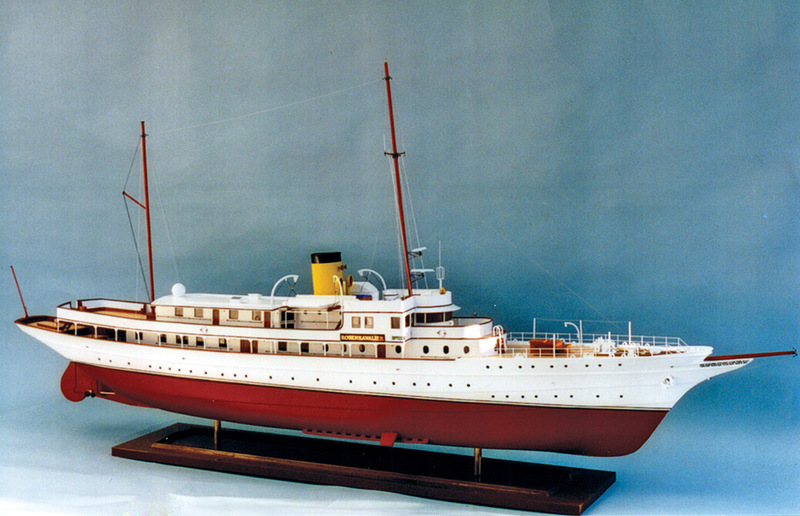 A detailed scale model of the motor yacht Time. 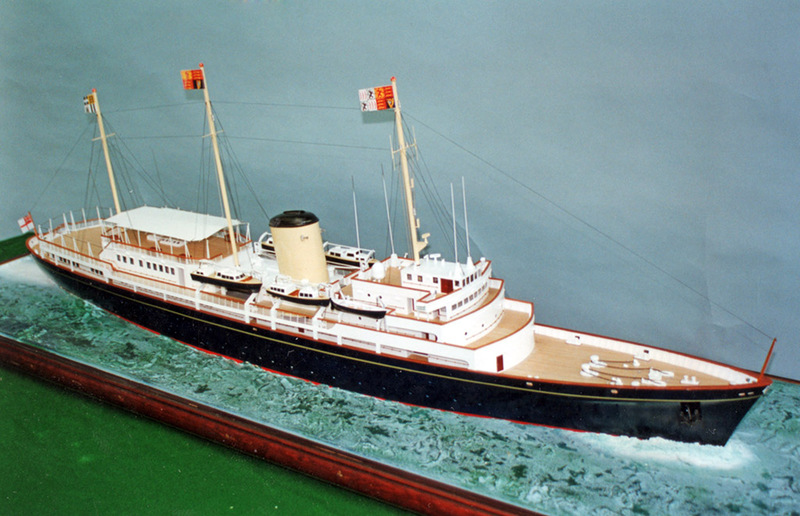 A detailed scale 1:96 scale model of HM yacht, built by John Brown and Co Ltd, 1953. 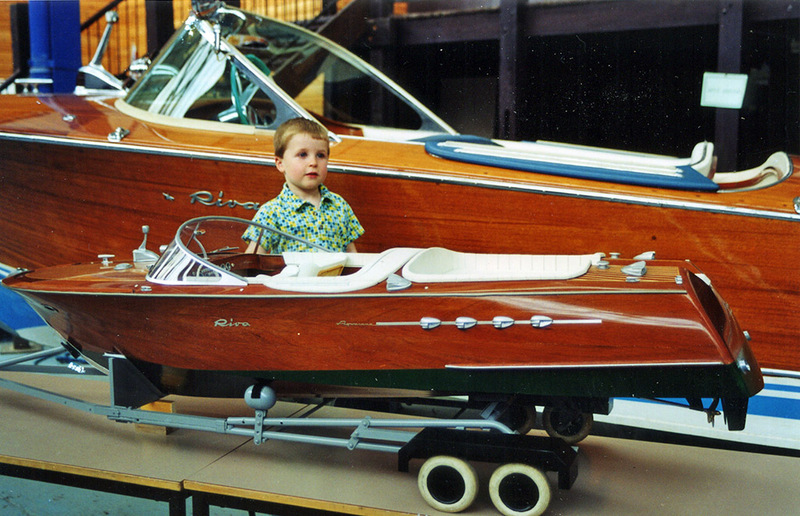 Previously on display at the London Boat Show when money was trying to be raised for a new royal yacht. 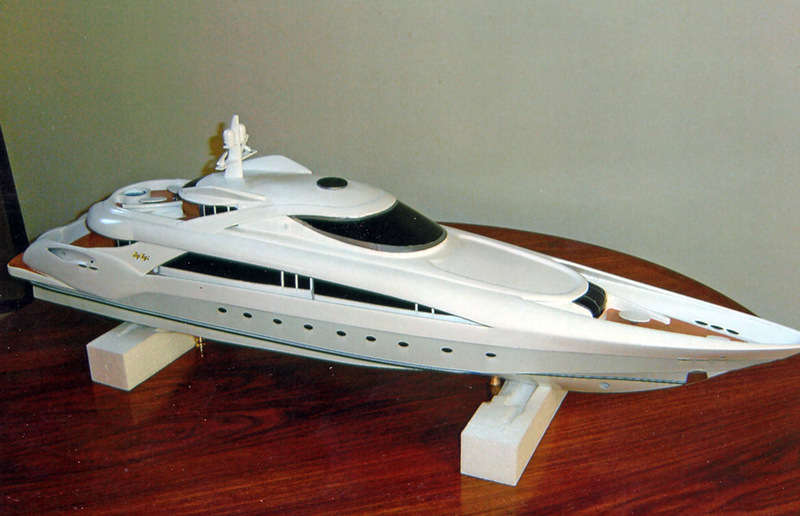 1.50 scale model of a 39.5m motor yacht Sahab III, designed by Ray Harvey. 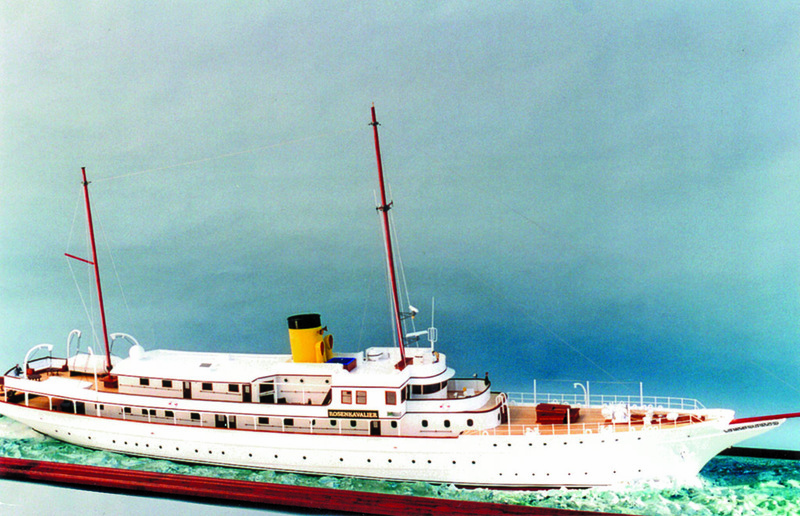 1.50 scale model of M.Y. Kalizma. 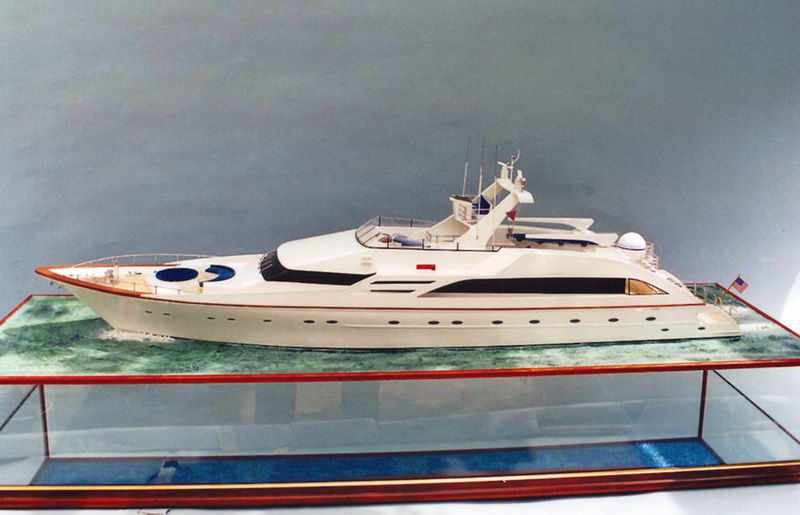 Motor yacht 76 metres concept model. 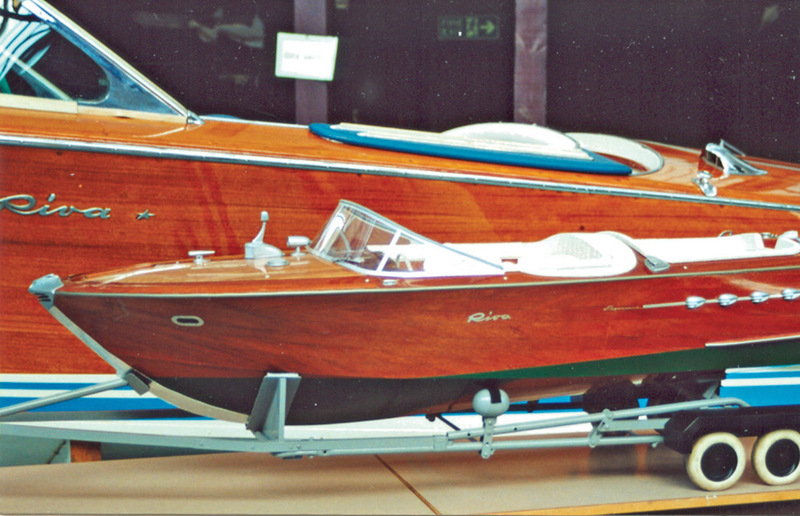 1.75 scale built for Devonport Yachts. 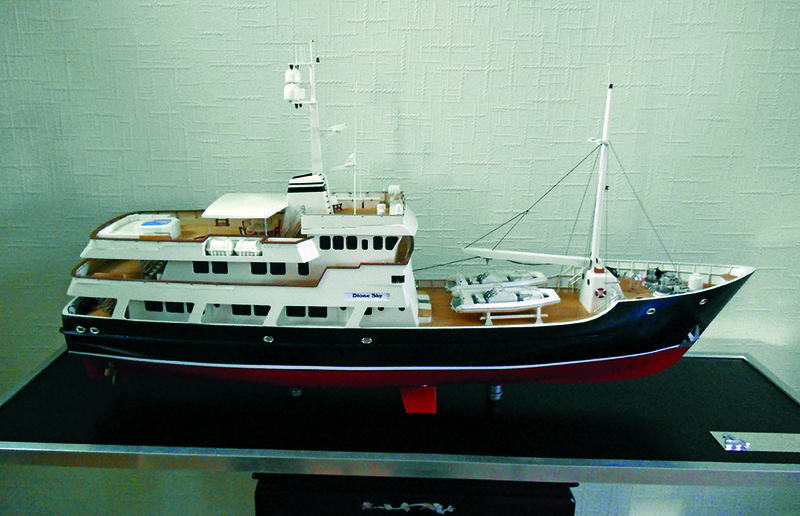 Luxury motor yacht, 46.5 meters 1.50 scale model. 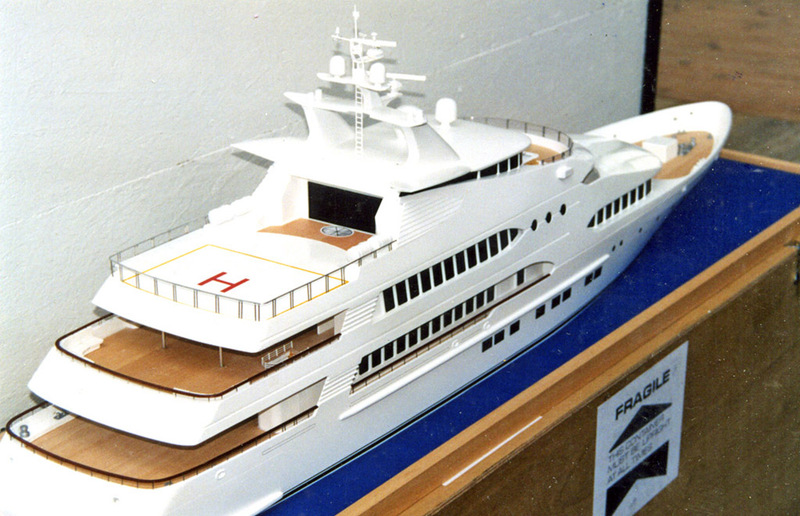 1.48 scale model of the motor yacht Rapunzel, under construction before fitting and all deck details are added. 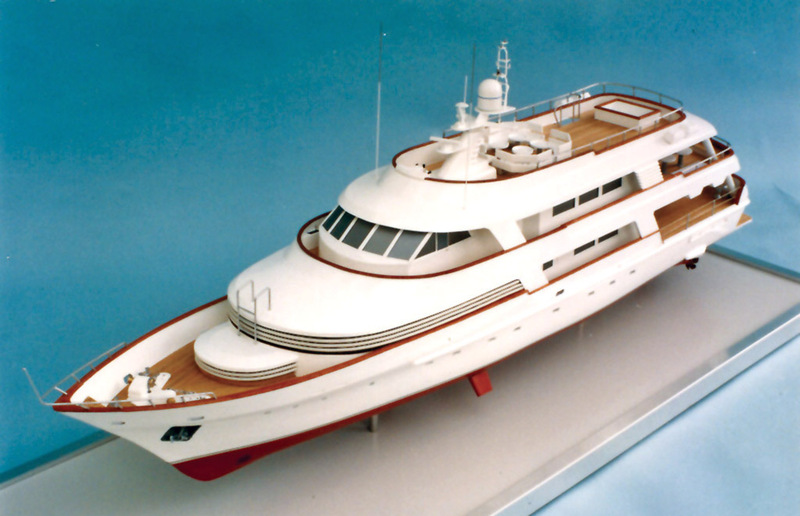 Built for Devonport Yachts. 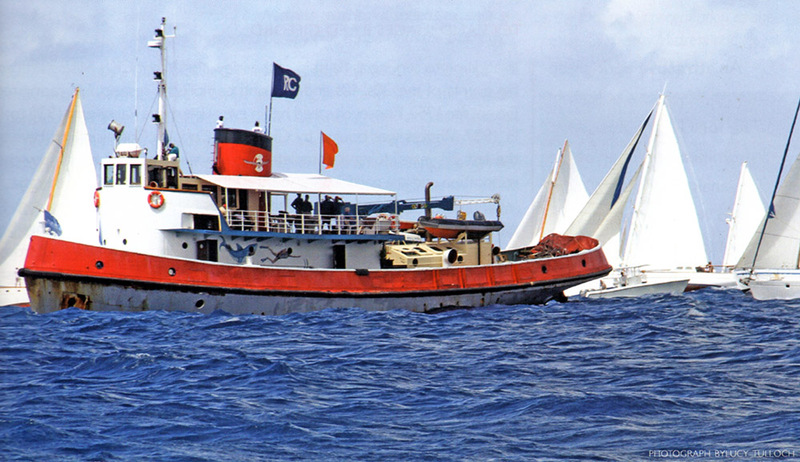 Committee boat in 2004 and 2012 at Antigua Classic Yacht Regatta. 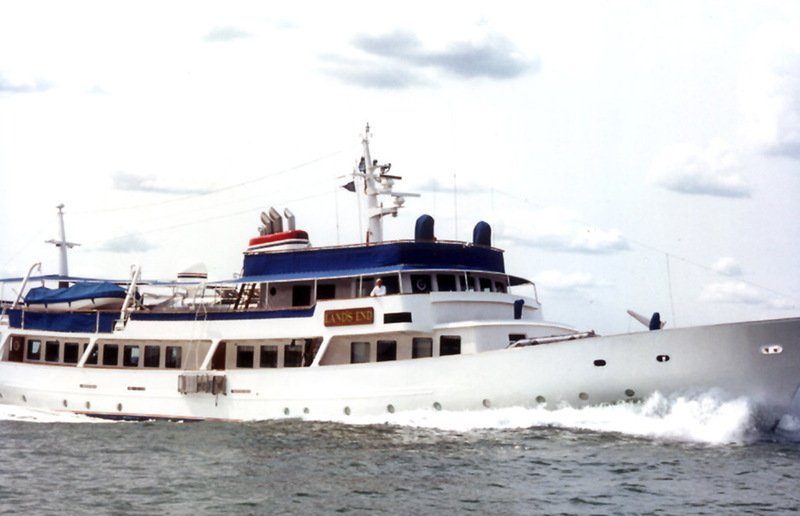 Committee boat for Antigua Classic Yacht Regatta 2013, 2014.